Dreaming ‘big’ may not be a bad idea, however we need to be realistic about what we are capable of. We must admit that we may have limitations. It’s important not to set ourselves up to be disappointed if we are not being logical about our budget, skills, available time, etc. It’s better if you have a plan that does not include using credit in any major way to start a business. Not just because you are paying interest on that money making it more expensive than it may appear to be; but because you have to pay the bill each month which continues to create a deficit in your operating budget. This can add up and we can quickly lose control. Even with the best intentions of paying the full balance each month it can become impossible. Do the math. Consider your income, versus the expenses to live. If there is anything left, that would be what you have to work with for starting and maintaining your business. However, if your business is a priority, you will tend to come up with more ‘spare change’ if you are willing to make some sacrifices. Ask yourself if that new suit or dress is more important than funding your business right now? If not, then maybe you should wait for the new clothes. Is seeing that movie the most important thing on earth? It almost undoubtedly isn’t. What exactly would happen if you didn’t see it right now? Analyze what you would need to start a business online. There will need to be advertising and marketing expenses. Since you need to find customers if you are going to have a business, that is probably the first priority. These critical functions while absolutely 100% cheaper than offline, still may require some expense. In the future maybe you can learn to do things yourself and save the money. There will more than likely be maintenance costs for any website, such as Internet connectivity, domain registration, hosting, and membership fees if you are an affiliate marketer or distributor. These are necessary costs and are not something you want to skimp on as it is important to have reliable tools. There will not necessarily be a lot of other office expenses like printer supplies, paper, phones, postage, etc., as the Internet pretty much works without those costly functions. Of course you do need a reliable computer, modem and reliable Internet connection as the foundation for your Internet home business. Some other good news is that everything you spend on your business is tax deductible when you file your taxes as ‘self-employed’ even part-time, and even if you also pay income taxes on a salary at your job. You can still file your taxes for your home business and declare any income and/or deductions that are generated from home. You may pay less taxes with all the deductions you can now claim for using your home for business. Refer to the IRS website to be sure what is and is not deductible each year. Are You Home Alone? Get Bizzy Working! You Will Start a New Business – Or Will You Just Try? 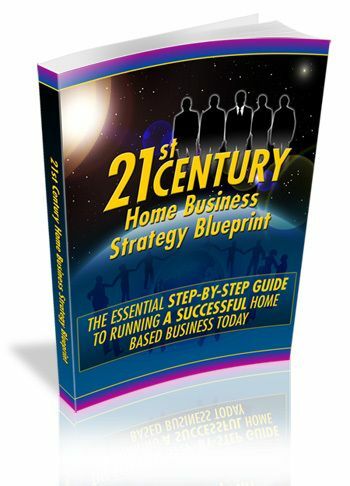 mike802 on Your Online Home Business Plan – Can You Afford It? Or You Can’t Afford Not to? © 2019 Legitimate Work at Home Business & Opportunities. All Rights Reserved.